Coco Chanel was a famed fashion designer born in 1883 in France. She was known for her little black dresses and suits. I was fascinated to learn she was raised in an orphanage and taught to sew!!!! And just look at her now!!!! WOW! What a name she has made for herself!!!! If I were to pick just one fashion designer it would ABSOLUTELY be her! 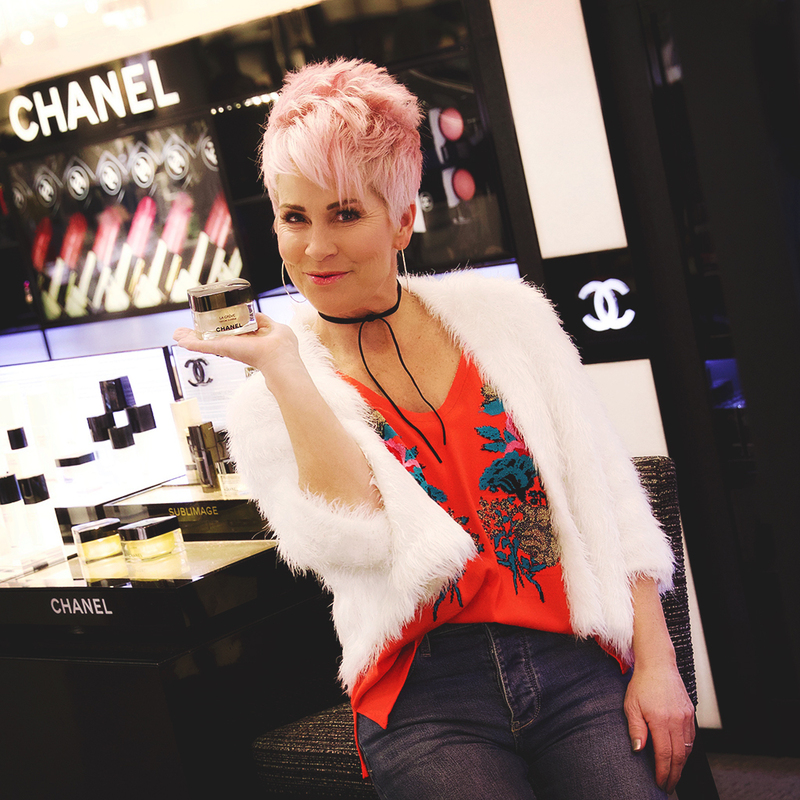 From her handbags and shoes to her skincare line and lipsticks……it’s all so luxurious and everything BEAUTIFUL! 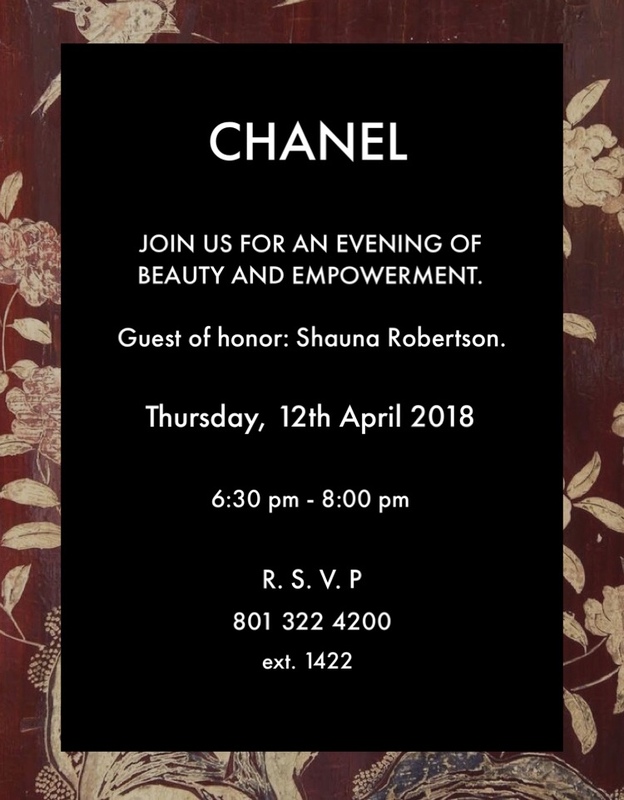 THIS THURSDAY, the 12th, I will be hosting an event. Below are the details! We will learn more about Coco and be talking about all things when it comes to BEAUTY and WOMEN EMPOWERMENT!!! I’m so excited to learn more about her, and how we can all be strong and fierce and more confident in who we are!!! PLEASE JOIN US…..we’d sure love to have you! I, too, love CC’s story. I can’t think of a better ambassador than you! I will be supporting you in sprit. :)). I think I heard she was the one who made sun tanning chic. Certainly times have changed and we all know better…it just shows how bold she was!!! Chicover50 have a great time, you are my Chanel Girl! Love the fuzzy white jacket! Where did you find it? I’ve been looking for one like it for a while now. Thanks!